A uniquely intimate suite offering the ultimate in privacy. 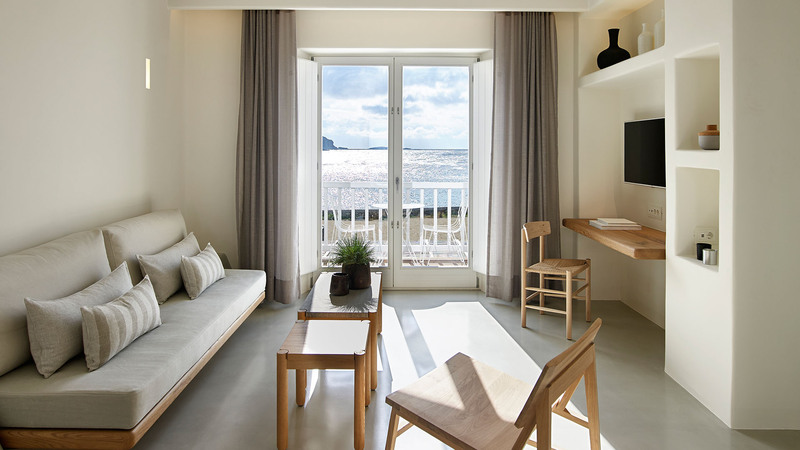 Charmingly designed, the open plan Bachelor Suites on the upper level of the complex ensure a relaxing stay in their spacious and beautifully appointed interiors. 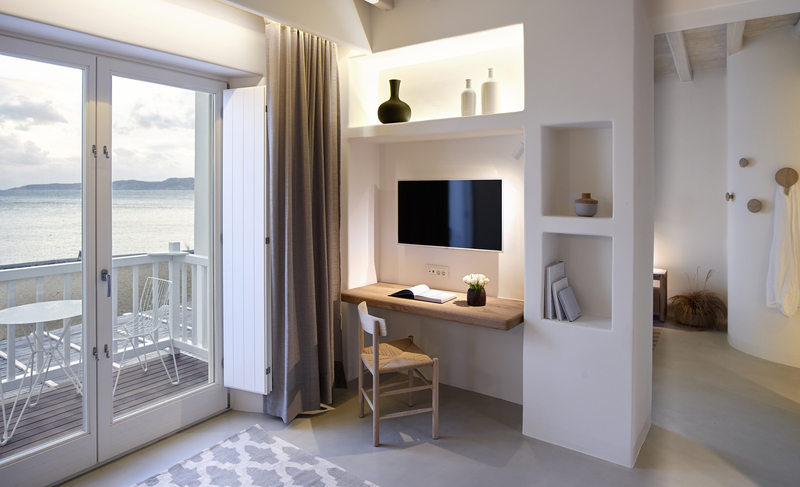 The Bachelor Coast Suites feature crisp, white interiors and private balconies with breathtaking sea views over the azure Aegean waters. 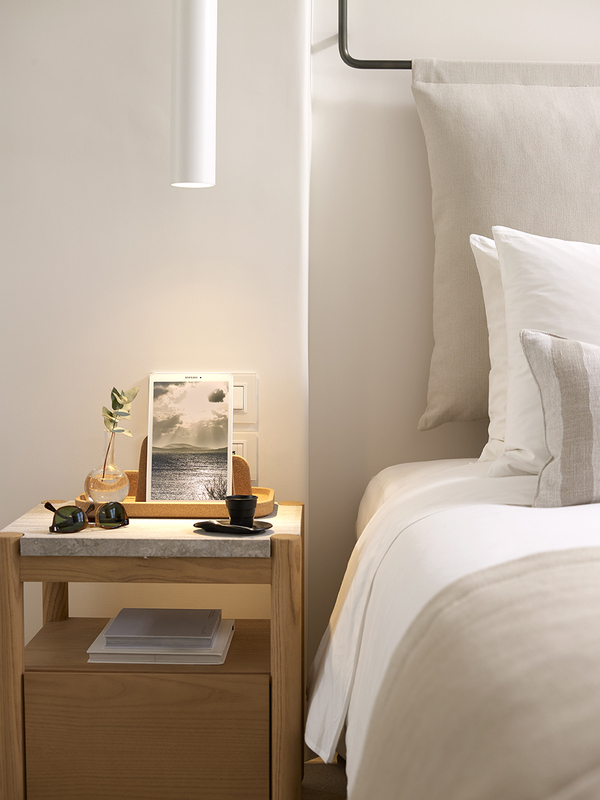 An intimate island hideaway with a luxury look and a home-from-home feel. 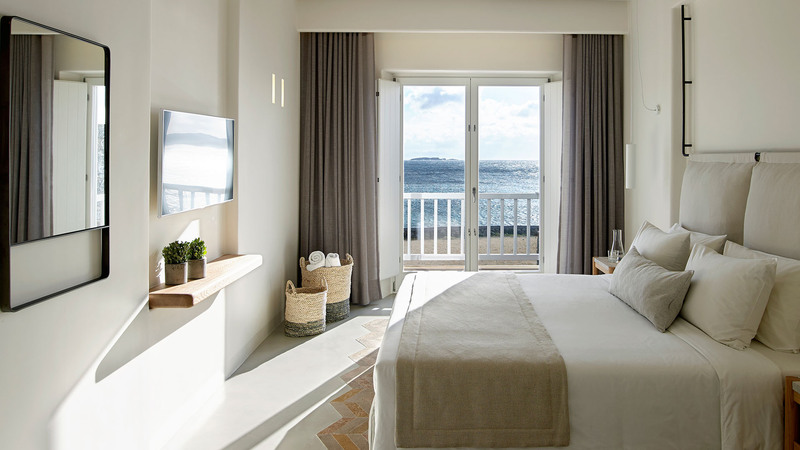 Guests are welcome to delve into the comforts of luxury and gaze at the infinite blue of the sea from their cozy balcony.